The Brick Castle: The Complete Collection of Mr Pattacake (Early Readers) from Sweet Cherry Publishing. The Complete Collection of Mr Pattacake (Early Readers) from Sweet Cherry Publishing. Sweet Cherry Publishing is a new company to me. Founded in 2011 they have a nice list of great children's authors and illustrators working with them, including Susan McNally and Ken Lake, and they specialise in producing fictional series and collections of books. 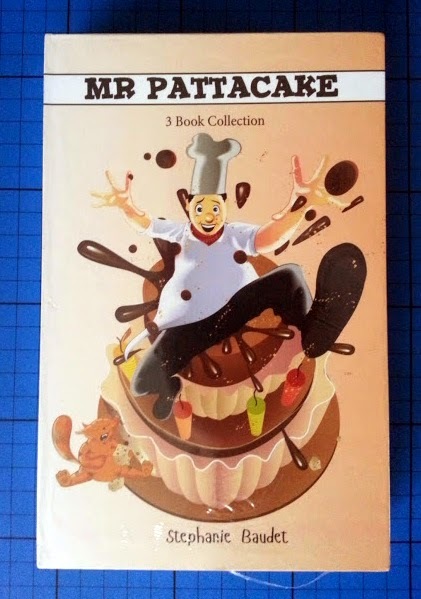 One of the sets we've been sent to review is The Complete Collection of Mr Pattacake. 3 books written and illustrated by Stephanie Baudet especially for children aged around 5-8 who are beginning to read confidently alone. 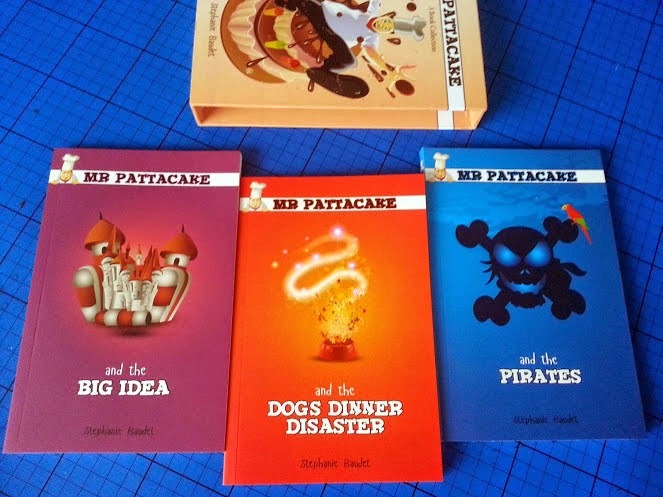 There are 3 Mr Pattacake books - Mr Pattacake and the Big Idea, Mr Pattacake and the Dogs Dinner Disaster and Mr Pattacake and the Pirates. Unsurprisingly my 6 year old son chose to start with the pirates. Mr Pattacake and the Pirates starts with Mr Pattacake being offered a job on a ship. He has grand ideas about expensive cruise liners, but it doesn't quite work out that way! The language is challenging, but not frustrating. There are frequent new and tricky words, around 2/3 of which my son can work out for himself, and the other 1/3 he's having a good attempt at. New words are repeated and reinforced with explanation or surrounding information, so they're new words to learn, rather than just complicate the reading. 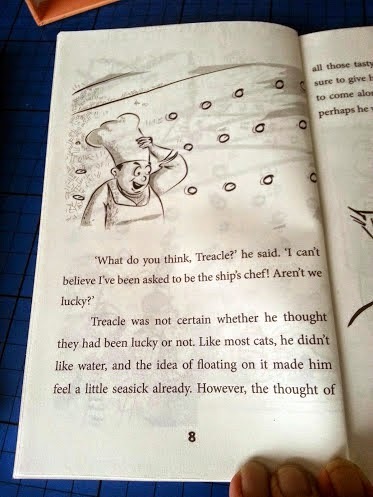 Mr Pattacake's cat is called Treacle, and that was one of the words he stumbled on most at first. The stories are incredibly engaging, they have a great flow with regular and obvious breaks - to pause and reflect on the simple but detailed accompanying illustrations, or discuss what's happening. The tale is fantastic fun with lots of little jokes and bigger funny parts of the main storyline. 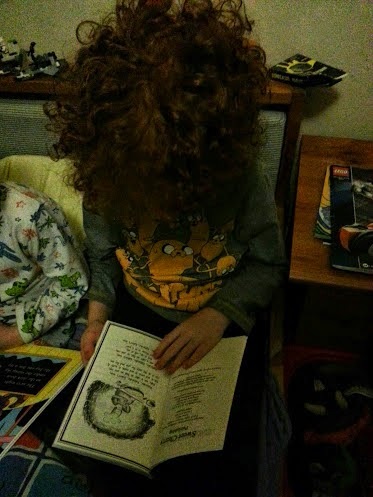 My partner, my 4 year old and I have listened to our 6 year old read the whole book over the last few nights - and we've enjoyed it as much as he has. 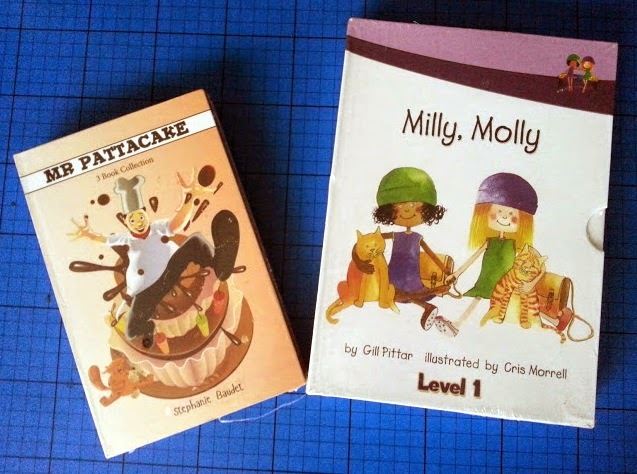 The Mr Pattacake books are excellent for children aged around 5-8 and beyond. The stories are far more 'grown up' than the title suggests, and in around 17 years of listening to my own children read, this is the most fun and engaging story book I have ever heard at Key Stage 1. I've had a peep at the other two stories myself, and I can't wait to hear him read those too. 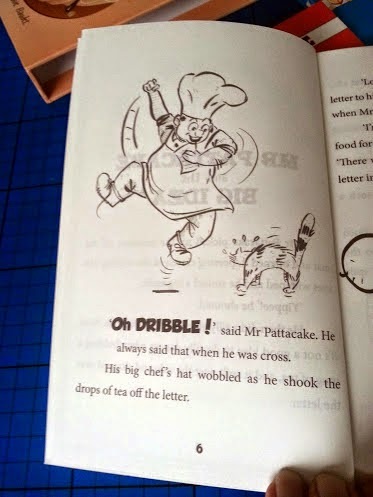 The Mr Pattacake books have 96 pages each and an RRP of £4.99. They are available online from Sweet Cherry Publishing, and in all good book shops. Sweet Cherry have an extensive range of books to suit children of all ages, and their collections make great gifts. We were sent our books to review.